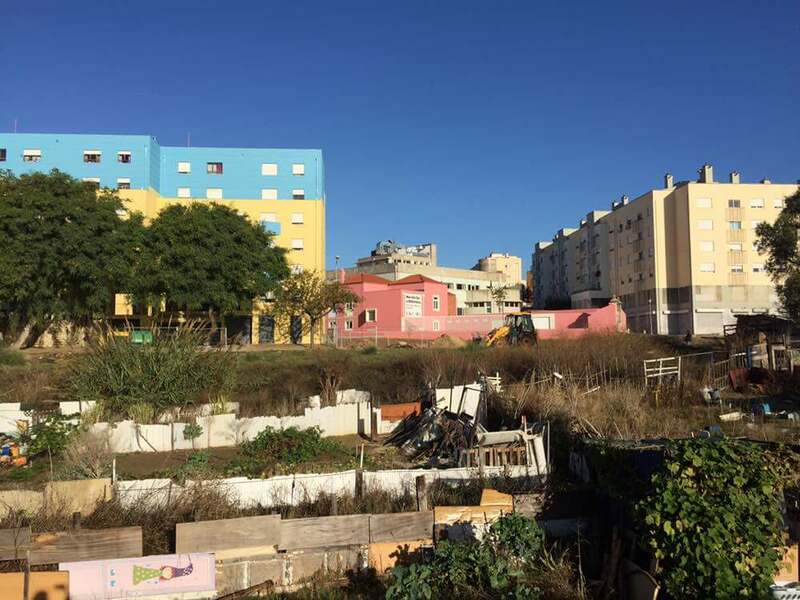 How is gentrification affecting the life of women in Lisbon? We travelled to one of the European cities where tourism and gentrification are increasingly becoming a threat to women and other minorities. Neoliberalism has been shaping cities as places for tourism, gentrifying and dismantling the cooperative environment of neighborhoods in different cities across Europe. At the same time, we see how the urban and housing crisis is affecting and excluding especially women and other minorities from public spaces. 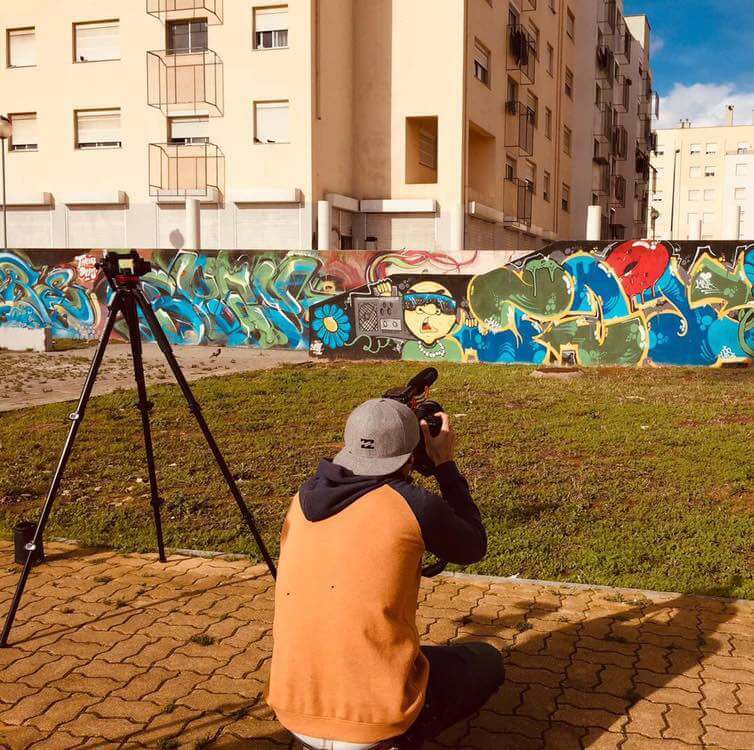 We travelled to Lisbon, one of the European cities where tourism and gentrification are increasingly becoming a threat to the city, where we met Patrícia Santos Pedrosa. Patrícia is an architect and professor, member of the collective Mulheres na Arquitetura/Women in architecture, an association that is developing different projects and actions to fight for gender equality and the right to the city, and on the defence of the presence of women in public spaces. European Alternatives: What is the meaning of a gender perspective city? Patricia Santos Pedrosa: Gender equality and the struggle for gender equality in cities are fundamental topics to be discussed and to work on when one thinks and debates topics regarding the city, because what we still have today are cities designed and based on the supposed ‘neutral figure’, which is, in the Portuguese case as in the European one, a supposed neutral citizen with whom you work and design the city, and so it is a white middle-class male, with full rights to mobility. In that sense it’s fundamental that other perspectives, other views, other identities and voices join in this discussion and have a say on how we design and shape our cities. European Alternatives: The relationship between women and public space is still a conflicted one. Women all over the world, from Argentina to Europe, are reclaiming their “right to the city”, as the global feminist movement pushes for “non-sexist cities”, bringing into the discourse and connecting also disciplines such as architecture and urban planning. What do you think about the relationship of the women in Lisbon with their city? Patricia Santos Pedrosa: When you speak of city and security, women and young women start speaking about their experience of insufficient security and fear, that’s the perception I have of women’s lives in their cities. Lisbon is my personal experience and the reality is that in terms of security, we are not satisfied, not comfortable, we cannot fully live the city. It also seems fundamental to me to stress that the relationship of the cities with women is not only a strict matter of security. You must admit that this obsession with security is the outcome of many factors. If you have no access to leisure activities, educational or cultural activities, or health and reproductive rights and mobility, there is no effective citizenship. The perception is weaker there, because we haven’t focused on the topic of security with due attention. Security is a topic that is intertwined with other topics and yes, many women do not realise that their lives are shortened and limited, with regard to access, because they simply forget to tackle issues of class. If to this you add being a woman and non white, then your relationship and experience of urban life is reduced to survival. You may have no notion of these conditions and you may not be aware of the fact that your right as a citizen is being hindered. European Alternatives: Let’s speak about the work you have done with Mulheres na Arquitectura on gender equality in cities and urban areas. Patricia Santos Pedrosa: Currently we are working on two fronts in particular. The Women in Architecture, an Association founded recently, attempts to create awareness around issues that, in a gender perspective, relate to ways of thinking, reflecting, projecting, or to decision-making policies for the city. 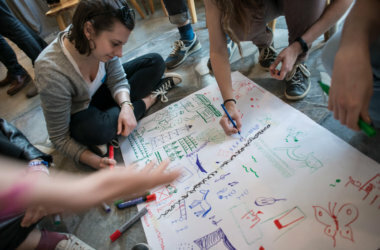 At the moment we have two activities underway, one being the “Making Gender at School”, coordinated by Joana Pestana Lages and taking place in two schools within the Lisbon area, the goal of which is to work – during the recreational times in the collective space – on a gender perspective with pupils. Raising the question whether space is used equally by all, boys and girls at school, and people in general, goes beyond the merely academic perspective, and follows an intervention proposal to improve conditions of gender equality in the collective life of the school. The purpose is to train and prepare whoever comes to these workshops to provide them with a better perception of a well-balanced city for men and women. On the other hand, we are doing or, we are about to start, a tour of the workshops around the city in a gender perspective and an urban perspective as well, to work with the population in general, municipal technicians, university students, and local collectives from different cities throughout the country. The purpose is to train and prepare whoever comes to these workshops to provide them with a better perception of a well-balanced city for men and women. In general we are working in three main directions, which we have identified as privileged action groups in the cities: community, local associations with feminist concerns or with gender and equality perspective, universities and technical staff from municipalities. We organize training actions, discussion groups, working groups that we expect will sow the seeds of this feminist view of the city we live in. These are the main activities that we are conducting. 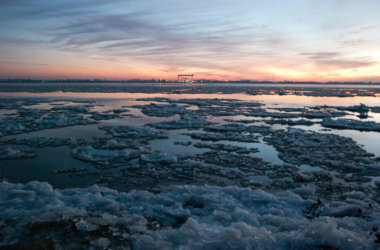 European Alternatives: How do you understand the concept of ‘silenced and invisible city’? Patricia Santos Pedrosa: The answer is very complex and with many ramifications, but from my viewpoint it has two main arguments, that in our discussions appear as two privileged roads. On the one hand, you have the perception of the people who live in the cities, work there, who visit the cities in an intersectional perspective, that is accepting the diversity of all the inhabitants, diversity as a guarantee of a respected diversity, as a guarantee of a more effective citizenship; for example, if you consider that I am a white female, heterosexual, architect, middle-class, this is certainly different from the conditions of a woman who lives in the suburbs of a non-white city, who is poor, and with limited access to culture, leisure and mobility. So I’m talking about a city where conditions are often of basic survival, and the word intersectionality is a fundamental one in order to conceive city/cities as spaces to exercise our rights. The topic of intersectionality is, to us feminists, a very dear one, and a fundamental tool for thinking and acting in the city. On the other hand, policies can’t be thought of on a large scale that are based on homogenization and a top-down approach. Policies must be generated as a result of this intersectionality, so it’s fundamental to act, think and demand a city that is built with a bottom-up movement. A city that is built, thought of, reflected, designed according to bottom-up strategies, where voices are not silenced, but where on the contrary they are invited to speak. There is a plurality of voices, that require time and space to be heard, and we have a lot to say. All the different women that live in cities have a lot to say regarding the city and we learn with our experiences, which is good because if we are able to build more diversified cities in terms of political strategies, political action and design, then we are surely improving the city for all, men and women. European Alternatives: Neoliberalism shapes cities as places for tourism, gentrifying and dismantling the cooperative environment of the neighbourhoods. How are the citizens of Lisbon confronting this attack? Patricia Santos Pedrosa: Obviously the topic of gentrification does not affect all, men and women, in the same way. Again here we must speak of ‘gentrifications’, using the plural, because what we are seeing in cities is a variety of gentrifications. 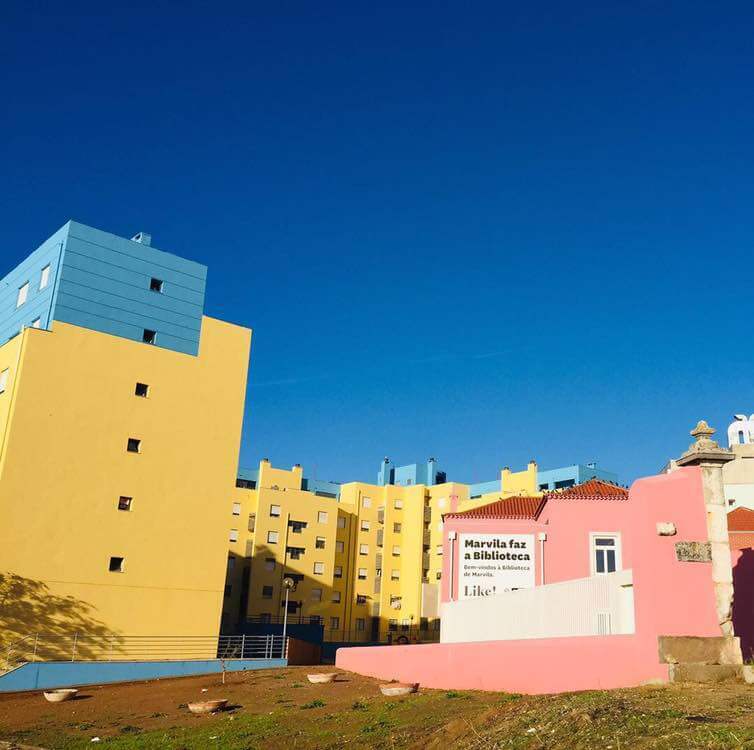 The gentrification of the historic centre of a city is not the same as the one spreading in different peripheries and territories of a city, such as Lisbon. But if you live in disadvantaged conditions, then from this intersectional perspective you are affected by multiple conditions, and it’s obvious that gentrification will hit you in a more violent way. The fight in defence of the legalization of free abortion in safe conditions in Argentina is the sign of a social struggle taking place in the streets of cities. 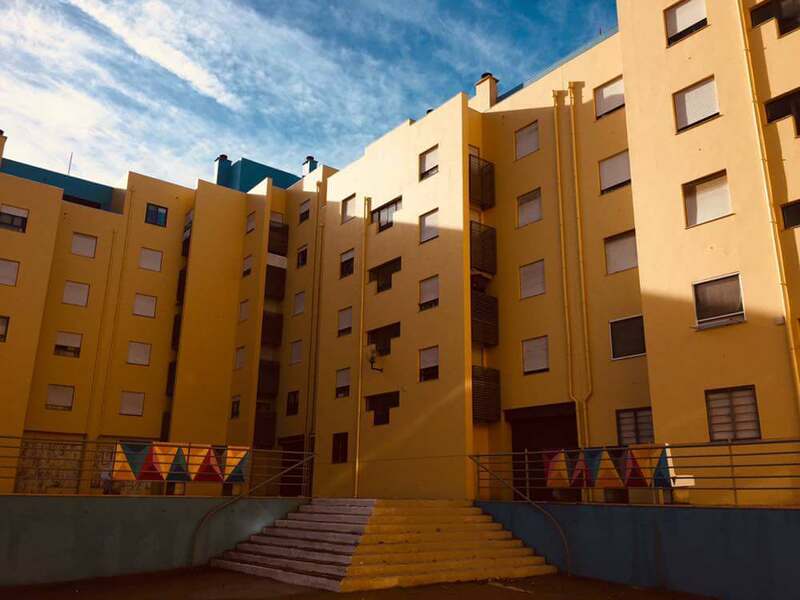 European Alternatives: Has the city of Lisbon made contact with other European cities to exchange insights on practices for increasing the level of citizen participation in the city? Patricia Santos Pedrosa: With reference to Women in Architecture, my job, our jobs would not exist if the Catalan collective Punt 6 did not exist, if the Spanish and the Argentinian collective Un día/Una Arquitecta did not exist. I have been working with some Catalan friends and some Italian ones and Southern European, so I think it’s an interesting moment because we have many bridges to build and develop, we share many things in terms of culture and society. South America is another fundamental case. Our colleagues (companions) from Argentina and Brazil are inspirational and fundamental for our learning. The fight in defence of the legalization of free abortion in safe conditions in Argentina is the sign of a social struggle taking place in the streets of cities. The world is becoming a more dangerous place, in Europe, in the Americas, in Africa, in Asia… but at the same time, the world is finding in women a source of strength and resistance, resistance in our spaces of action, cities, where we can plan for a new political power in a much more transversal way. Patricia Santos Pedrosa was a speaker at the event ‘Reclaim Europe: Urban perspectives, transnational strategies‘ in Lisbon.